For the third consecutive year, Inc. Magazine acknowledged capSpire as one of the fastest growing private companies in the United States. 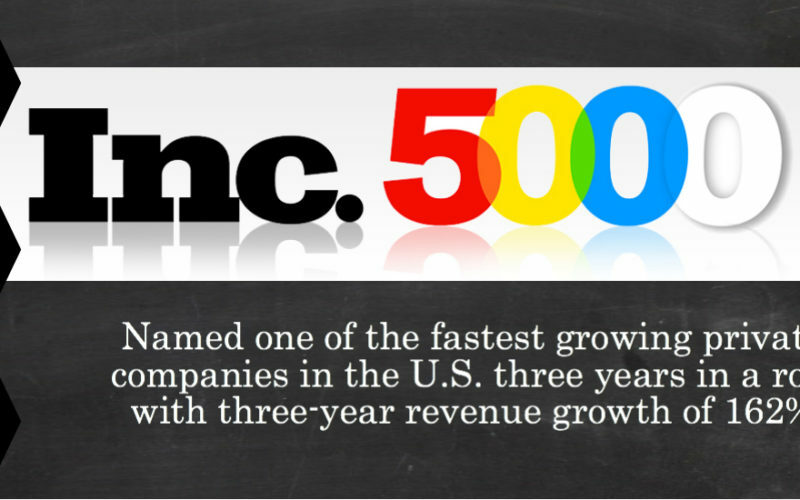 The strategic advisory, system integration, and technology solutions firm with offices in the US and Europe placed 2356th on the prestigious Inc. 500|5000 List. The exclusive list represents the most comprehensive look at one of the most important segments of the economy—America’s independent entrepreneurs. capSpire holds its rank given the significant growth it has achieved over the three year span of 2011 to 2014. Leveraging centuries of collective experience and a drive to find a better way, capSpire has shifted the paradigm of how innovative solutions create value for its clients in commodity trading, transportation, diversified energy and consumer-packaged goods. “As we reflect on this recognition, we are most proud that it is our core values and high standards of execution that are driving our success. It’s been less about ‘growth for the sake of growth’ and more about our uncovering better ways to address client needs and broader market challenges. It’s that deeply ingrained spirit and mode of operation that is fueling our growth,’” says capSpire co-founder Mike Scharf. “There is a clear and direct correlation between our success and the quality of our team. capSpire has maintained a core principle of hiring only the best and the brightest; be they experienced or young professionals. That principle, along with our culture and processes that enable an unparalleled level of knowledge sharing and support of others, are critical to our not so secret, but hard to emulate, formula for success. Huge thanks go out to the capSpire team for our shared successes,” says capSpire co-founder Jeff Hardcastle. capSpire also thanks the key partners and over 70 clients that they have worked with over the past 6 years. It’s through those high trust and collaborative relationships that capSpire has been afforded the opportunity to apply its deep expertise, best practices and innovative solutions. As the company looks forward, capSpire sees continued growth in its North American and European based operations with increased hiring, new offices and expanded consulting and software offerings on the horizon.